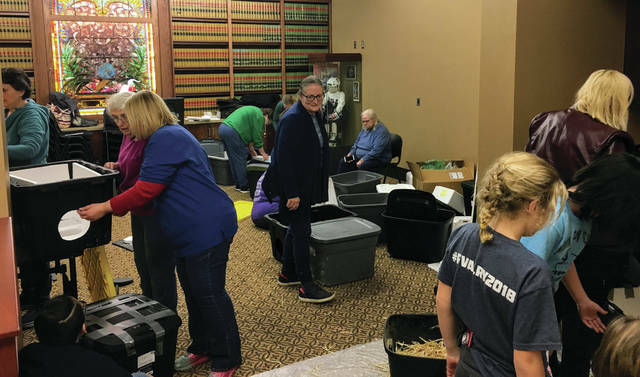 Provided photo Community members assemble insulated shelters that can be placed outside to help cats stay warm during a workshop held at the Piqua Public Library by Purrs in Piqua on Monday. PIQUA — Purrs in Piqua and the Piqua Public Library hosted a cat shelter workshop on Monday, Dec. 3. The workshop taught participants how to make insulated shelters. The shelters can be placed outside to help community cats stay warm in cold winter weather. The shelters were made out of styrofoam, plastic storage bins, and straw. The workshop included resources on community cats, including information on trap, neuter, and return, also called TNR. Participants were able to take home the shelters they made or donate them to Purrs in Piqua. Purrs in Piqua will distribute them per request. The Piqua Home Depot donated heavy-duty plastic bins, and the Piqua Wal-Mart donated funds to cover the cost of additional plastic bins and styrofoam coolers. The Tipp City Veterinary Hospital donated styrofoam coolers as well. 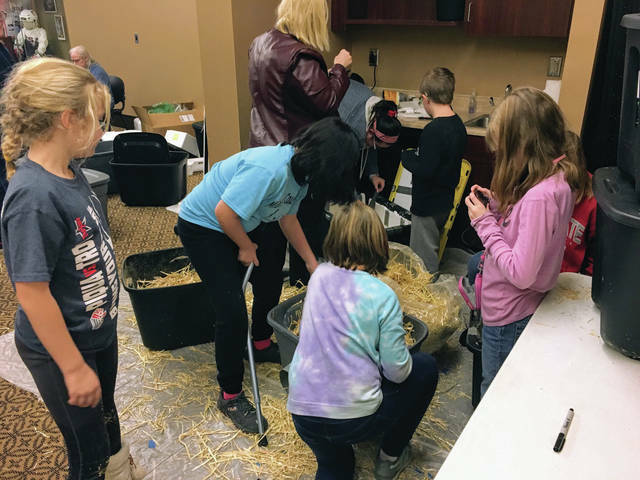 The Piqua Public Library and Purrs in Piqua covered the remaining cost of the materials so the workshop was free to participants. Approximately 50 community members came to the library for the workshop. Participants donated 15 shelters to Purrs in Piqua and many talked with Pontius about the community cats in their neighborhood. Community members shared five new areas of Piqua that need attention from Purrs. Purrs is currently fundraising for their TNR program in 2019. To find more information about events and programs at the Piqua Public Library, visit their website www.piqualibrary.org or follow them on social media @PiquaLibrary. To learn more about Purrs in Piqua, find them on Facebook @PurrsinPiqua or email the organization at purrsinpiqua@yahoo.com. https://www.dailycall.com/wp-content/uploads/sites/30/2018/12/web1_Cat-Shelter-Workshop-2018-1-CMYK.jpgProvided photo Community members assemble insulated shelters that can be placed outside to help cats stay warm during a workshop held at the Piqua Public Library by Purrs in Piqua on Monday. https://www.dailycall.com/wp-content/uploads/sites/30/2018/12/web1_Cat-Shelter-Workshop-2018-2-CMYK.jpgProvided photo Community members assemble insulated shelters that can be placed outside to help cats stay warm during a workshop held at the Piqua Public Library by Purrs in Piqua on Monday.